Kosterlitz is the Harrison E. Farnsworth Professor of Physics at Brown, where he joined the faculty in 1982. He shares one half of the Nobel Prize with F. Duncan M. Haldane of Princeton University, with the other half of the Nobel going to David J. Thouless of the University of Washington in Seattle. Kosterlitz, who is on a semester-long sabbatical from Brown and working in Finland, joined Brown administrators and his physics colleagues via videoconference for a brief celebration on Tuesday afternoon. He said the phone call from the Nobel committee came as quite a shock. "At the moment I feel like I’m in some alternate universe, where reality has taken a long vacation,” he said. “But everything seems to be real, so I guess I will have to assume that it is and proceed accordingly." He added that the work for which the prize was awarded was his first foray into condensed matter physics, and he was surprised with the impact it has had in the world of physics. "At the time it was a purely theoretical exercise," he said. "I had a lot of fun when I did it. I guess the impact has been quite large." His son, Jonathan Kosterlitz, said he was thrilled to hear the news early this morning. "I've never been more proud of my father," he said. "He's a man who has always shunned the spotlight, and no one deserves to have the sun shine on him more." Born in Aberdeen, Scotland, in 1943, Kosterlitz earned his Ph.D. from Oxford University in 1969. After an appointment as a postdoctoral researcher at Torino University in Italy, he became a research fellow at Birmingham University in 1970 before coming to Brown in 1982. He is a fellow of the American Physical Society and received the Maxwell Medal from the U.K. Institute of Physics in 1980. In 2000 he was awarded the Lars Onsager Prize by the American Physical Society. He was inducted into the American Academy of Arts and Sciences as a fellow in 2007. Brown President Christina Paxson congratulated Kosterlitz for being recognized with the world’s highest prize for physics. “This is such a well deserved honor, and everyone at Brown is thrilled and delighted by this recognition of Professor Kosterlitz and his important body of research and scholarship,” Paxson said. 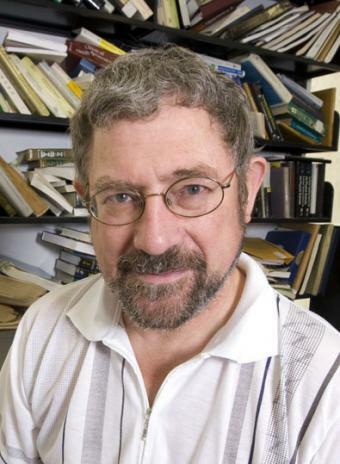 Kosterlitz becomes the second Nobel laureate currently on the Brown physics faculty. He joins Leon Cooper, who won the prize in 1972 for developing a theory of superconductivity, the ability of some materials to conduct electricity with zero resistance. 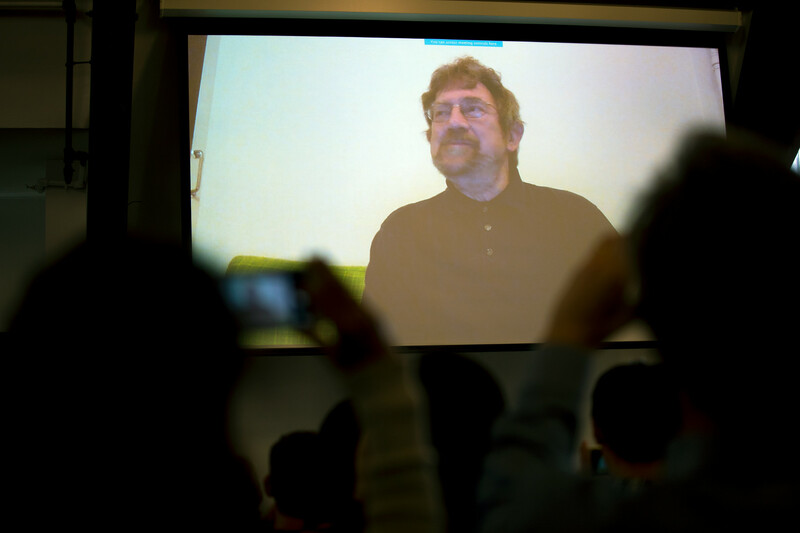 At a Brown event on Tuesday afternoon, Professor Kosterlitz offered thoughts on the Nobel Prize via video from Finland. The work of Kosterlitz, Thouless and Haldane explains how certain kinds of matter transition from ordinary matter into what is known as “exotic matter.” These exotic states include superconductivity and superfluidity, the frictionless flow of a fluid, and certain types of magnetism. In the early 1970s, Kosterlitz and Thouless used a branch of mathematics known as topology to show how very thin, two-dimensional materials can transition in and out of these exotic states. Their work showed that 2-D materials, though not ordered in the same way that a crystalline 3-D materials are, have a quasi-order at low temperatures generated by paired, tightly bound vortices and anti-vortices. As these materials are heated, the vortices become unbound and scatter apart, disrupting the quasi-order. The unbinding of these vortices and the resulting loss of order are now known as the Kosterlitz-Thouless transition, a phase change in 2-D materials that hadn't previously been explained. 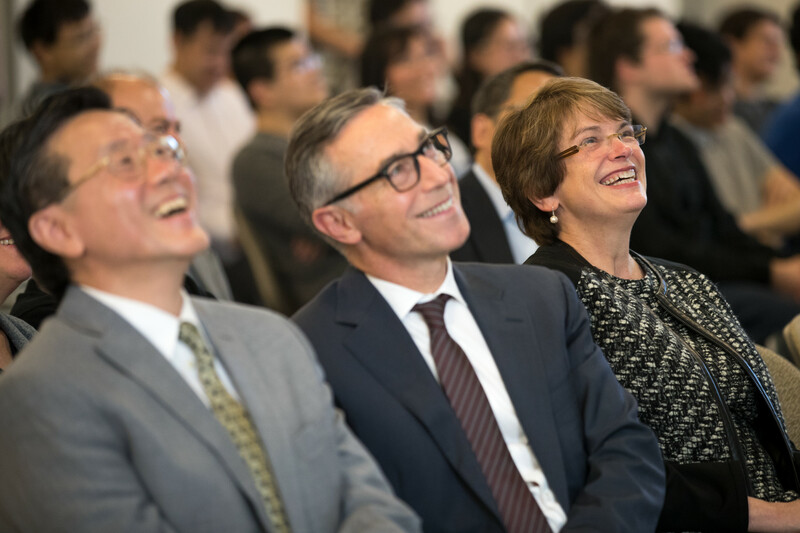 Brown Professor Gang Xiao, Provost Richard Locke and President Christina Paxson reacted to Professor Kosterlitz's remarks on Tuesday. An enthusiastic group of Brown physics students comprised much of the audience at Tuesday’s event. They spoke of their enjoyment taking Kosterlitz’s statistics mechanics course, asked about the next course he might teach and pressed the professor for insights about the next big problem in physics. Dina Obeid, who earned her Ph.D. under Kosterlitz’s tutelage and is now a postdoctoral fellow at Columbia University’s Center for Theoretical Neuroscience, called him a world-class physicist and an amazing person. Fellow Brown physics faculty member Chung-I Tan said the Nobel Prize is a well-deserved honor for Kosterlitz. "Mike’s contribution is well known within physics community,” Tan said. “He has been a wonderful colleague and a dedicated teacher. Another Brown colleague, physics professor Robert Pelcovits, said the most surprising thing about today's announcement was how long it took. "If I had heard this news 20 years ago, I would have said, 'oh yeah, of course,' but today I was kind of shocked," he said. "I'm very happy for Mike. He's a modest guy, just a good person who does physics because he loves it and that's what he cares about." At today's teleconference, Kosterlitz expressed a hope that Brown students who love physics will also follow their hearts. "For the students I would say, if you’re fascinated by physics, go for it and have fun with it," he said. "After all if you don’t have fun with what you’re doing, it’s not worth doing. "There are so many unsolved problems waiting for somebody young, crazy and smart," he added.